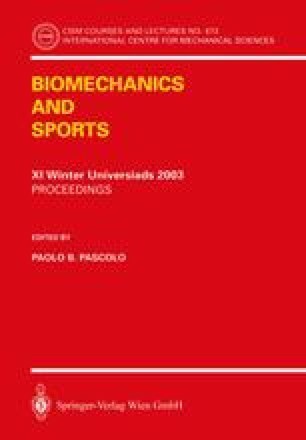 The objectives of this study were to determine whether the dominant leg as identified by kinematic and EMG data, to determine whether the unregulated neuromuscular control as identified by motion analysis in the threshold, and to determine the role of different muscles during the performance tests. To achieve these objectives data were collected from nine professional cyclists, who were examined on a performance test under increasing power output condition. The knee angle was computed from data determined by ultrasound-based motion analyzer; the EMG data were determined by surface electromyography. Our data demonstrated great changes in the kinematic and EMG parameters during the performance test. The results of this study indicated that cycling asymmetry is related to limb dominance, changes in asymmetry with workrate are highly subject specific. The data reveal an unregulated EMG pattern and motion in the threshold determined from physiological parameters. Our results tended to suggest the role of muscle gastrocnemius does not depend on the work rate and the muscles gluteus maximus may be to help the increasing power output in the anaerobe state. This work was supported in part by Hungarian Scientific Found T034130 and T037272, by Stipendium István Széchenyi (Rita Kiss, László Kocsis) and by Fund MEDICaMENTOR. The paper is dedicated to Professor George Springer for his support and guidance.